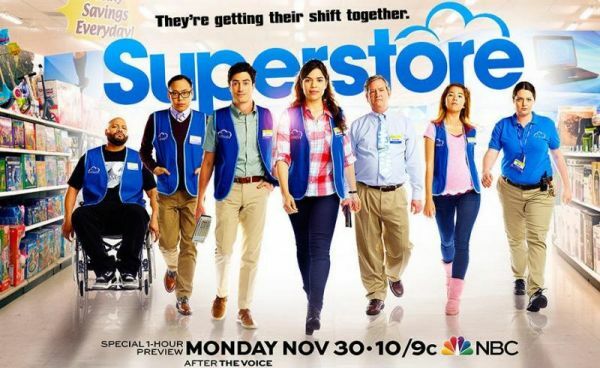 Superstore is a new comedy centering around life at the supersized department store Cloud Nine. From the bright-eyed newbies and the seen-it-all veterans to the clueless summer hires and the in-it-for-life managers, together they hilariously tackle the day-to-day grind of rabid bargain hunters, riot-causing sales and nap-worthy training sessions. America Ferrara is best known as the titular character on the popular ABC dramedy Ugly Betty. She has also appeared in films such as Sisterhood of the Traveling Pants, How to Train Your Dragon, and X/Y, as well as TV series such as The Good Wife and CSI. Ben Feldman is known for his role as Michael Ginsburg on the critically acclaimed drama Mad Men. 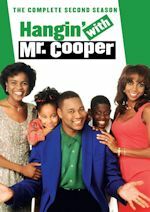 He also starred in the short-lived NBC rom-com sitcom A to Z, and has appeared on The Mindy Project, Children's Hospital, Drop Dead Diva, and Medium. Colton Dunn is a comedic writer and actor who has written and appeared in shows such as Parks & Recreation, Key & Peele, and The Arsenio Hall Show. Lauren Ash is a comedic actress who has appeared on shows such as Another Period and Super Fun Night. Mark McKinney is a comedic actor who was a cast member on both The Kids in the Hall and Saturday Night Live. He also appeared in shows such as Corner Gas, Dino Dan, and several SNL character movies including Superstar and A Night at the Roxbury. Nichole Bloom is best known for her role on Showtime's dramedy Shameless. She also appeared in the popular teen film Project X.
Nico Santos is an actor who has appeared on shows such as 2 Broke Girls, Mulaney, and Ground Floor. Jonah begins his first day on the job at big-box store Cloud 9 and immediately starts a rocky relationship with floor supervisor Amy when he comes off as elitist and mistakenly marks appliances for only a quarter. He is also the romantic target of aggressive assistant manager Dina whose bible is the employee code of conduct. Pregnant Cheyenne shares a memorable moment with her boyfriend, Bo. Store manager Glenn gets overly excited when the Cloud 9 corporate magazine, Stratus, is interested in a story. The reporter, Cynthia (guest star Eliza Coupe), is more focused on Jonah, however, and the two develop a more-than-business relationship, which Amy had suspected. Garrett does his best to avoid be photographed for the magazine's cover. Cheyenne asks her boyfriend, Bo to come up with a corporate jingle to help earn money to pay expenses for their upcoming baby. It's no secret that NBC has had a lot of trouble developing comedies over the past few years. After dominating the sitcom line-up with smash hits such as Cheers, Friends, Seinfeld and Will & Grace, the peacock has spent most of their time trying to reclaim their glory days. For a while, this meant being the home of critical and fan favorites such as The Office, 30 Rock, Community, and Parks & Rec – shows that didn't garner blockbuster ratings, but earned the network critical acclaim and awards attention. But as network TV has continued to crumble, and as the network has seen success in other areas such as reality and procedural dramas, they decided to chase big ratings by revamping their comedy line-up and bringing in new "broad" styles of comedy. 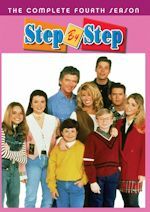 Unfortunately, this did little more than completely dismantle their comedy line-up – year after year, we watched as NBC desperately tried to appeal to America, either by giving them broad, hokey concepts (Animal Practice, Bad Judge), or by taking stars they had liked before and hoping that was all they needed (The Michael J. Fox Show, Sean Saves the World). None of these shows lasted, and it all resulted in a network that almost eschewed comedy completely – the only sitcoms on NBC this fall were a measly, low-rated hour on Friday nights. So, long story short, as NBC's first real attempt to launch comedy this year, Superstore is stepping into an incredibly tough environment. That's unfortunate, because much to my surprise, Superstore is pretty good! In fact, aside from this summer's surprisingly excellent The Carmichael Show, it's the first NBC comedy in years that actually feels like it could become something worthwhile. Superstore isn't perfect, and saying it's better than most of the half-baked desperation that NBC has thrown our way over the past five years isn't saying much. But unlike most recent NBC sitcoms, it's a show that seems to have a vision and a purpose beyond "let's try really hard to get people to watch this show." In fact, Superstore almost seems like a deliberate attempt to throw back to the not-so-long-ago era when NBC was the place to go for well-written, immensely likable comedies. Created by Justin Spitzer (a former writer for Scrubs and The Office), the show mixes the darkly funny realism of The Office with the bouncy, lively characterization of shows such as Community and Parks & Rec. The show also has a real gem of a cast, from the two excellent leads Ferrara and Feldman (each putting in some great work on their "straight man" characters) to the rest of the well-rounded comedic ensemble. There are issues that need to be dealt with – the show relies a bit too heavily on stereotypes (though it does, on several occasions, subvert them), and it's somewhat light on jokes (though not at all light on hilarious, strange visual gags). But the pieces being set here look very similar to what shows like The Office and Community did in their earliest episodes – taking "stock characters" we'd expect in a setting like "corporate office" or "community college," or in this case, "big box retailer," and expanding on them, digging into them, and analyzing them. It's got a ways to go, but Superstore shows some real direction and promise, and I can only hope NBC's comedy problems don't squander that potential. Superstore is one of the most promising NBC comedies in ages, with a likable cast, an interesting premise reminiscent of previous great NBC comedies, and a bunch of well-drawn, if slightly stereotypical, characters. The show has a ways to go before it can be called "great," and it'll need to work in funnier and more original jokes before it can reach that level. But the first four episodes show a series with real direction, a deft handle on its characters, and a lot of potential. Let's just hope the show gets the chance to fully live up to it. Discuss the show after you watch it on Monday, November 30, 2015 at 10:00PM & 10:30PM ET/PT on our message board. Can you dig it? That '70s Show is now on Pop, starting today (November 30). That '70s Show of course is a half-hour situation comedy series focusing on an eclectic group of friends who are typical teens on the verge of young adulthood – only it's the 1970s. When the series premiered in 1998, it launched the careers of several young actors who would go on to become pop culture icons: Topher Grace, Mila Kunis, Ashton Kutcher, Danny Masterson, Laura Prepon and Wilmer Valderrama. Is it any wonder it's #StillAwesome? 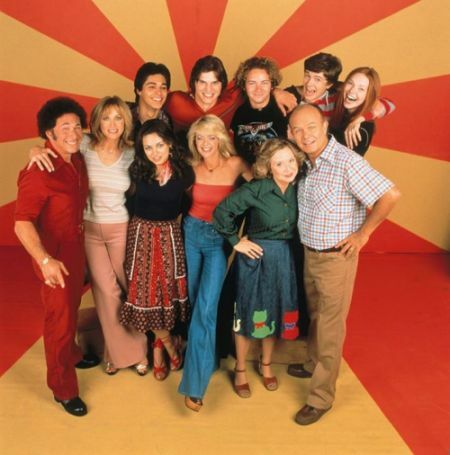 That '70s Show airs weekday afternoons on Pop, with four back-to-back episodes at 4pm ET, beginning today. 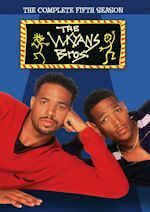 The Pop line-up will be Dynasty at 10am and 11am (which returns Dec. 7, by the way), Beverly Hills 90210 at 12pm & 1pm, Dawson's Creek at 2pm & 3pm into That '70s Show from 4-6pm. Evenings will still feature Celebrity Name Game at 6 into soaps Bold and the Beautiful at 6:30pm, Young & The Restless at 7 and Days of Our Lives at 8. 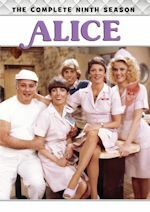 Classic sitcoms Wings, Family Ties and The Love Boat will still pop up on Pop in early morning marathon blocks beginning at 9 and on weekends. Isn't this #StillAwesome? Households: #1. ABC 6.94/12 rating/share (+52% in rating from first four nights week 9); #2. CBS 6.05/10 (+5%); #3. NBC 5.44/9 (+12%); #4. Fox 1.59/3 (-42%); #5. The CW 0.72/1 (-31%). Total Viewers: #1. ABC 11.306 million (+61% from first four nights week 9); #2. CBS 9.748 million (+6%); #3. NBC 8.756 million (+14%); #4. Fox 2.507 million (-43%); #5. The CW 1.064 million (-34%). Adults 18-49: #1. NBC 2.13/7 rating/share (+16% in rating from first four nights week 9); #2. ABC 2.05/7 (+18%); #3. CBS 1.58/5 (-5%); #4. Fox 0.88/3 (-40%); #5. The CW 0.34/1 (-48%). We have previous week's final ratings, Week 9 (11/16/15-11/22/15, LIVE+SD). NBC won the week in A18-49, thanks to SNF of course, as NBC did a 2.08 rating. ABC was #2 with a 1.81 rating boosted by the AMA's. Fox was #3 with a 1.78 rating helped by the NFL overrun, while CBS was #4 with a 1.36 rating. Among total viewers, CBS was #1 with 8.396 million, with NBC #2 at 7.690 million. ABC was #3 with 7.045 million and Fox at #4 with 5.327 million. For season to-date (9/21/15-11/24/15, LIVE+SD), NBC is #1 in A18-49 with a 2.36 rating, followed by CBS at #2 with a 2.01 rating. Fox at #3 with a 1.74 rating and ABC at #4 with a 1.65 rating. Among total viewers it is CBS #1 at 10.031 million, followed by NBC at #2 with 8.342 million, ABC #3 with 6.645 million and Fox #4 with 5.440 million.